At Milan Furniture Fair in April – the largest annual interior furnishings fair in the world – rose gold kitchens were all the rage. 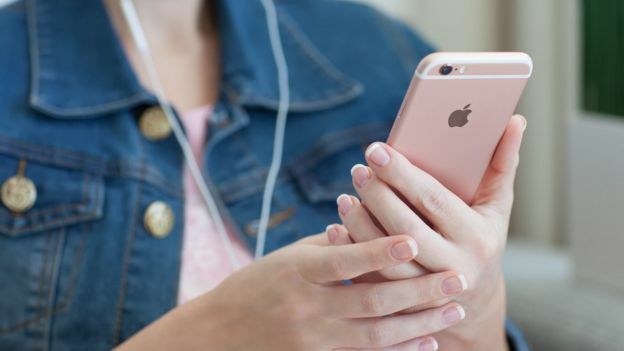 The iPhone 6S was one of Apple’s most popular launches, with 40% of all pre-orders for the rose gold model. It was the gadget for celebrities and social media influencers – a rare occurrence where those who were fashionable actually took notice of a gadget launch event, and even more unusually, signalled that the iPhone 6S was the “must have” item of the season. This led to some rose gold creations on the catwalk from designers like Jimmy Choo and Cavalli, in part due to a rising trend for copper-coloured items, inspired by interior designer Tom Dixon’s penchant for copper lights and homeware in 2013. Remember the film The Devil Wears Prada? 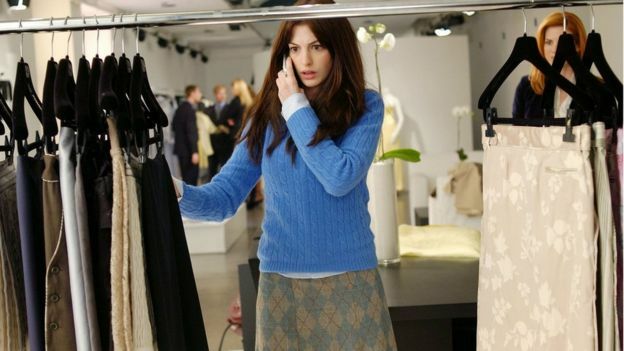 In the movie, Meryl Streep’s fashion magazine editor character Miranda Priestly explains to intern Andrea that the blue jumper she is wearing is actually cerulean, a shade which first emerged in the collections of high fashion designers, before filtering down to the high street store where Andrea “fished it out of some clearance bin”. In the normal course of events, after gracing the catwalks between 2012 to 2016, it was expected that interest in rose gold would die down. 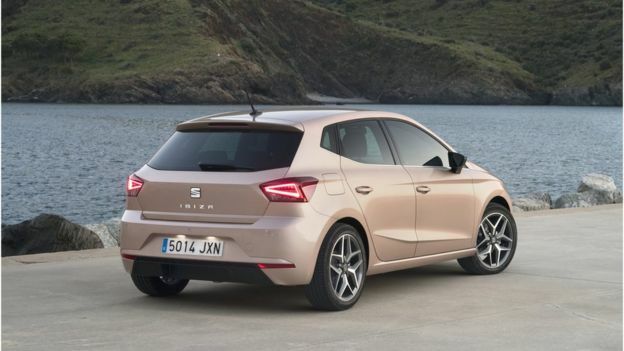 But for some reason, rose gold is still as popular as ever. 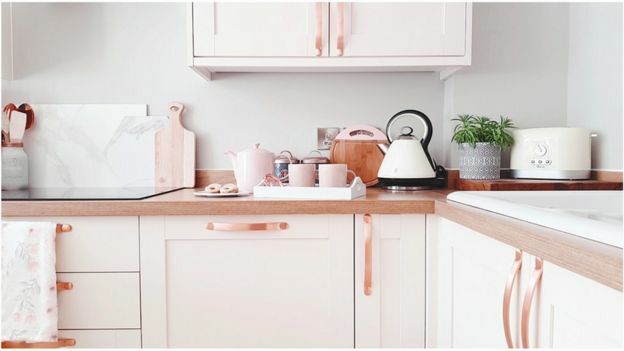 According to Marie Claire’s digital fashion editor Penny Goldstone, millennials have held on to pink because it photographs well in posts on social media. “I would say rose gold has become a pop culture phenomenon. It’s been around since 2015 but it’s still massively popular,” she tells the BBC. “High street brands will still be influenced by styles on the catwalks, so if the catwalks are showing one colour, they will still make some stuff inspired by those collections, so the public can buy into the style cheaply,” says Ms Goldstone. 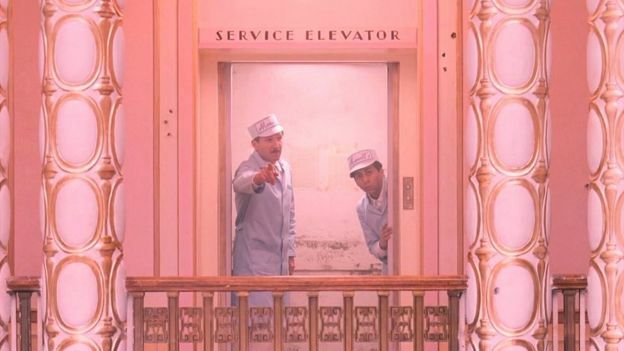 In Ms Goldstone’s opinion, millennials first began falling in love with rose gold in 2014 when the film The Grand Budapest Hotel came out, as it featured a lot of luxurious retro pink interiors. However, Ms Goldstone says that millennials have continued to focused on rose gold, almost as a sort of psychological protest against the many world events of 2016 that they found depressing. “Pink used to be scorned, but with the rise of millennials, it was almost seen as a cool thing because it’s kind of ironic. You’re going back to a girly pink but you’re wearing it ironically,” she explains. “We’ve put the pink in some styles for men, and they love it. We have a lot of male influencers who wear Melissa, and they choose rose gold as the main colour,” Melissa’s global marketing director Raquel Scherer tells the BBC. British high street fashion retailer New Look tells the BBC that rose gold is now an “essential neutral” colour in the wardrobes of its customers, in particular in shoes, bags and jewellery. 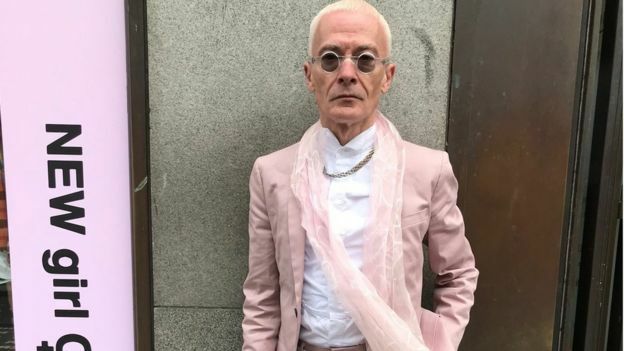 “I think the importance of ‘the female’ and feminism has impacted on the gender neutrality of collections which makes pink more accessible to both genders,” New Look’s head of design for accessories and footwear Alison Chipchase tells the BBC. 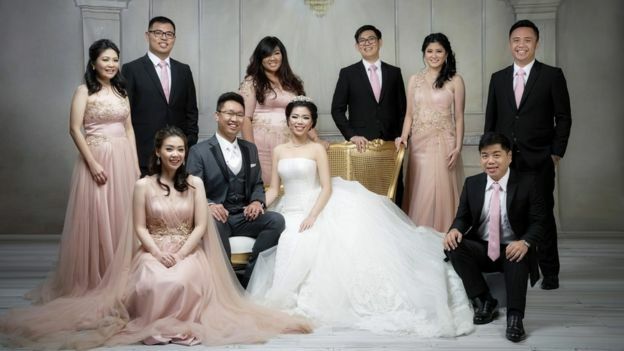 “Now in pretty much in all the shops you can find a pink suit, but in the last two to three years you couldn’t find pink suits, it was occasionally,” he says. “I’ve got a lot of rose gold incorporated into the cakes this year. 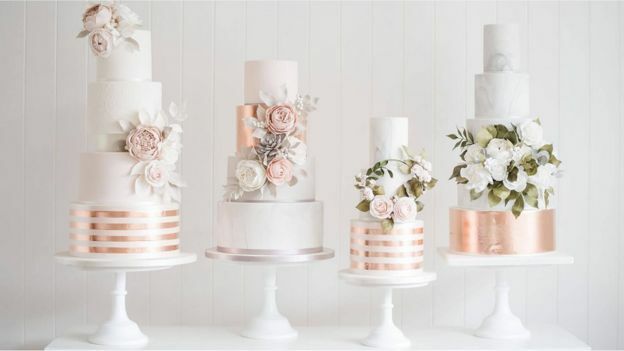 I feel like it’s still a trend because it coordinates really well with blush and it’s a lot warmer than gold,” Dominique Pickering, a cake designer with Poppy Pickering tells the BBC. “We tried making our world best-selling product Melissa Mar sandals in lilac this season, because we tried to see what the consumer wants, but the lilac version didn’t sell at all, and we had to increase our stock of this shoe in rose gold,” says Ms Scherer.